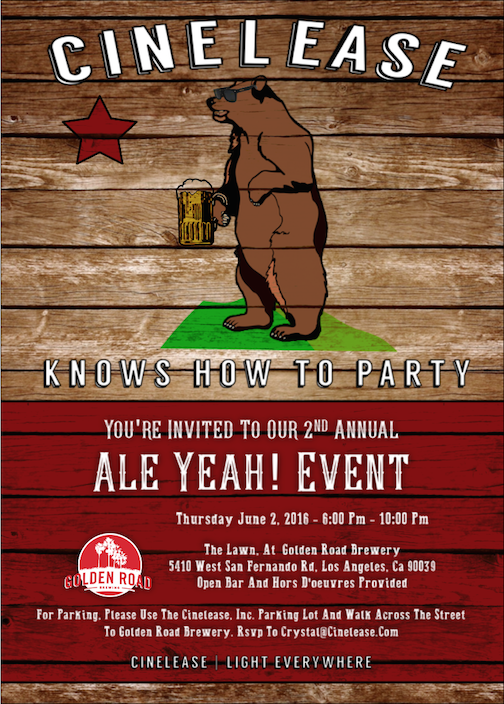 On Thursday June 2, 2016, Cinelease, Inc. held its second annual Ale Yeah! Client Appreciation Event. We received visits from our valued clients and vendors. The event was held at Golden Road Brewery, who catered the event. Three Cineo Matchboxes were given away, courtesy of our friends at Cineo Lighting. Older Visit Cinelease at the Film in California Conference!